Long before George Sidney was named president and COO of McLanahan Corp., and before he became a sales engineer at the storied company, he was a youngster with a grand vision for his future. Growing up, Sidney had strong interests in engineering and geology. He considered pursuing a career in each of these fields yet ultimately chose engineering, concluding that the pathway into the workforce was simpler. Fortunately for Sidney, McLanahan contacted him shortly after he graduated from Penn State University, giving him the perfect opportunity to fulfill both of his boyhood dreams. More than 45 years since joining McLanahan, Sidney looks back on his career with great satisfaction. He started as a design engineer and soared to the highest ranks of a family-owned company that’s now in its sixth generation of executive leadership. Over the years, Sidney innovated equipment, mentored the industry’s young aspirants and brought the construction aggregate industry together at critical times. He was a visionary who helped his company expand beyond U.S. borders, and he was a leader the greater industry in the United States could continuously count on through his association contributions. George Sidney, left, celebrated the 170th anniversary of McLanahan Corp. alongside Michael McLanahan, center, and Sean McLanahan back in 2005. Photo courtesy of McLanahan Corp.
Sidney spent his first few years at McLanahan on a four-person team designing equipment. He loved being a design engineer, but an opportunity surfaced early on that put him on a track to bigger things. Sidney thought about the opportunity over a weekend, deciding he wanted to remain as a design engineer. Rumbaugh, however, wouldn’t take no for an answer. Sidney reluctantly accepted Rumbaugh’s offer with a stipulation that he could return to engineering if he didn’t enjoy sales. Looking back, Sidney regards his decision as the best move of his career. “It not only allowed me to be involved in the design effort, but to truly learn the application of all of our equipment,” Sidney says. Sidney spent about half of his time on the road during these days, calling on customers in the Rocky Mountain region. His weekends were often spent at the office putting in extra hours as an engineer. Several years like this piled up before Rumbaugh proposed another opportunity to Sidney. Rumbaugh laughed and responded plainly: He wasn’t asking Sidney to be smarter than the engineers; he was asking Sidney to lead them. As engineering director, Sidney added staff and put his department through a wholesale reorganization. “We came out with a lot of new products, a lot of innovation,” Sidney says. 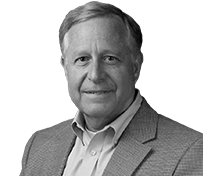 The new role also positioned Sidney to work closely with Mike McLanahan, who became company president in the late 1980s. Sidney assumed other job titles over the years, including executive vice president, COO and president, succeeding Mike McLanahan in 2004. Together with Mike and his son, Sean McLanahan, who was named executive vice president and CFO at this time, a goal was set to double the company within five years. Acquiring Universal Engineering Corp. and the assets of Eagle Iron Works in 2012 contributed to McLanahan’s growth, as well. Through these years, Sidney kept the customer top of mind. 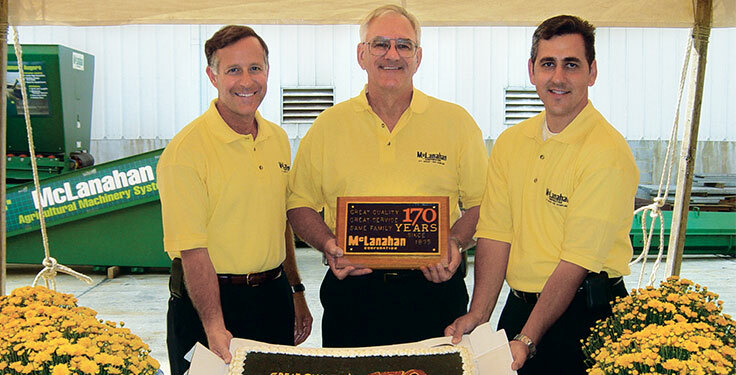 He learned in his earliest years as an engineer that the customer’s input was central to everything McLanahan does. Sidney certainly made the commitment to bettering aggregate-producing businesses. Although the inner workings of McLanahan required his everyday attention, Sidney also regularly invested himself in aggregate industry organizations. Sidney first got involved in the National Stone Association (NSA), the predecessor to the National Stone, Sand & Gravel Association (NSSGA), in 1987. Sidney kept all of the minutes from meetings. More importantly, he kept things moving. “I was the continuity in the effort because they were changing chairman every year,” he says. Sidney also participated as a speaker at regional NSA seminars on operations topics, educating producers on subjects of interest. And he’s been one of the key proponents of ROCKPAC, NSSGA’s political action committee, canvassing the industry for donations. Sidney retired at the end of 2018, but he remains on the company’s board of directors. He’ll continue to attend industry trade shows and meetings to maintain his network of friends. Of course, Sidney’s success at work would not have been possible without the support his wife, Leanne, continuously offered at home.